Think of the wheel as a diagram of the tactics an abusive partner uses to keep another person in a relationship. Inside of the wheel is comprised of subtle, continual behaviors.The outer ring represents physical, visible violence. 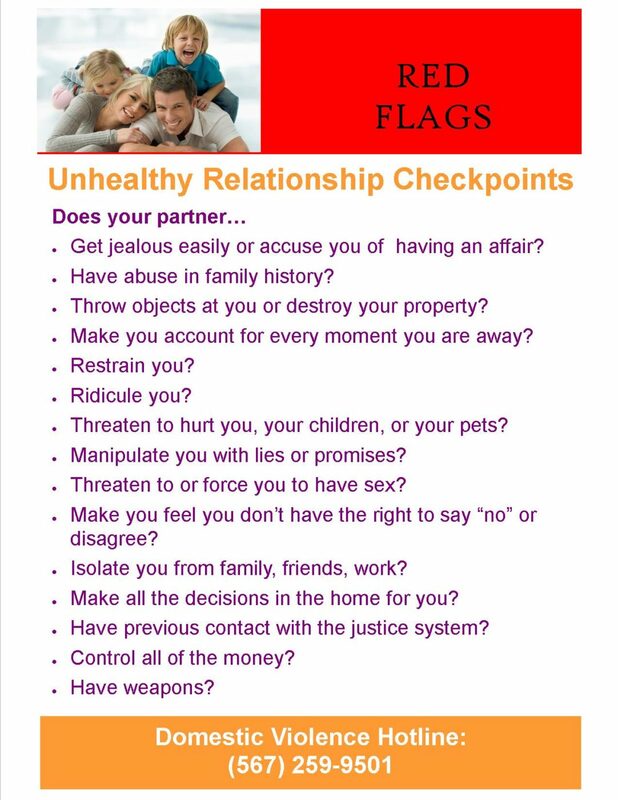 These are the abusive acts that are more overt and forceful, and often the intense acts that reinforce the regular use of other subtler methods of abuse. 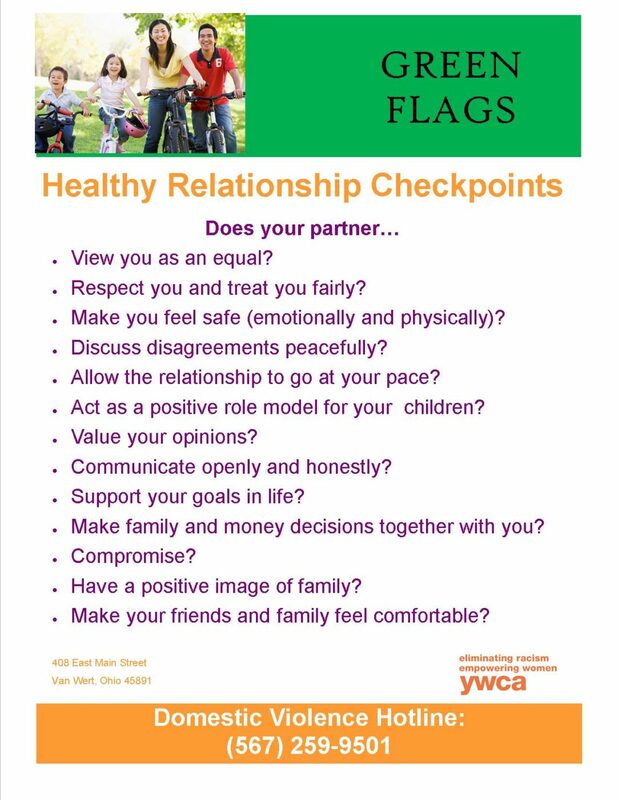 Red Flags and Green Flags of relationships are listed … ask yourself if any of these signs point to your relationship health. The YWCA Domestic Violence Services are dedicated to eradicating domestic violence and assisting all victims of abuse who contact the YWCA. No one deserves to be abused. We are not an emergency domestic violence shelter. The YWCA provides services to those who have been referred to us by an emergency shelter or outside agency. All services are available to men, women and children regardless of sexual orientation and services are conducted in a safe and confidential environment. First, you need to understand that this situation is not your fault. Abusers will make you think it is. No one deserves to be abused in any way. Love shouldn’t hurt. If you are in an emergency situation, contact Crisis Care of Van Wert (419-238-4357) or call 911 for local law enforcement. Survivors will then be referred to the YWCA for Long Term Domestic Violence Housing. If you are an emergency shelter or outside agency making a referral for housing, call 419-238-6639. If you are need of court advocacy or case management, no matter whether you are a resident of our facility or an outreach victim, contact the YWCA of Van Wert County at 419-238-6639.